Konami has officially announced PES 2018 and confirmed it will launch on September 14, 2017. 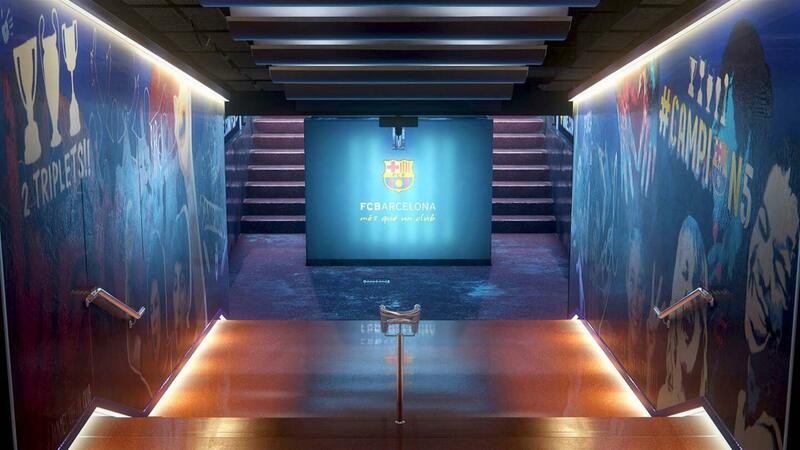 It has promised the new PES will "hit the floor running with new features, new ways to play, a PC version to the standard of the leading console iterations, and an unrivalled gameplay experience." KONAMI DIGITAL ENTERTAINMENT B.V. WILL RELEASE PES 2018, THE LATEST EDITION OF ITS HIGHLY REGARDED FOOTBALL SERIES ON SEPTEMBER 14TH, 2017. THE PUBLISHER HAS ALSO PLEDGED THAT THE NEW GAME AIMS HIGH AND WILL UNVEIL A WIDE-RANGE OF IMPROVEMENTS TO AWARD-WINNING SERIES. 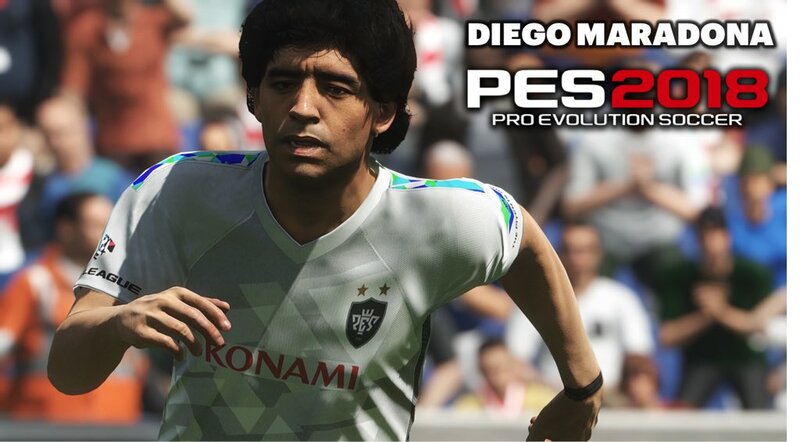 HAVING ESTABLISHED THE PES SERIES AS THE MOST REALISTIC AND INTUITIVE FOOTBALL TITLE FOR HOME SYSTEMS, KONAMI HAS SET ITS STALL EARLY WITH AN EXTENSIVE RANGE OF NEW ELEMENTS THAT BUILD UPON THE PREVIOUSLY LAID FOUNDATIONS. CENTRED ON THE CONCEPT THAT PES 2018 IS “WHERE LEGENDS ARE MADE”, THE NEW GAME HITS THE FLOOR RUNNING WITH NEW FEATURES, NEW WAYS TO PLAY, A PC VERSION TO THE STANDARD OF THE LEADING CONSOLE ITERATIONS, AND AN UNRIVALLED GAMEPLAY EXPERIENCE. 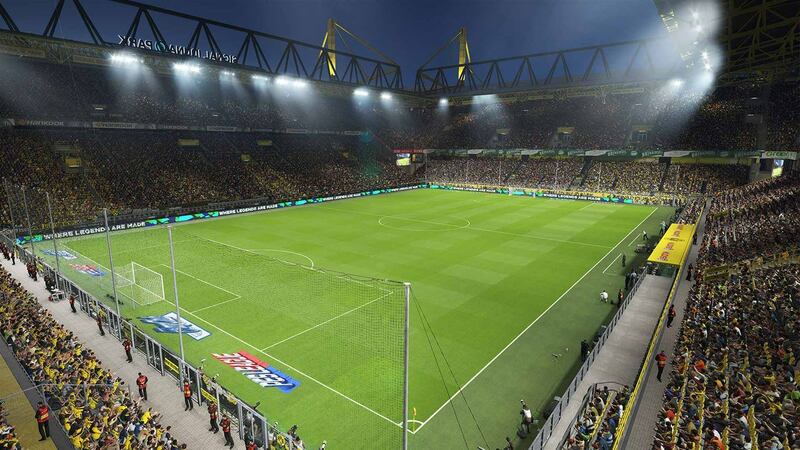 PES 2018 FEATURES MORE NEW ADDITIONS THAN ANY OTHER PES TITLE IN THE LAST 10 YEARS, AND NO PART OF THE GAME HAS BEEN LEFT UNTOUCHED. AT ITS HEART REMAINS THE FAMED GAMEPLAY WHERE USERS ENJOY COMPLETE CONTROL OVER THE ON-FIELD ACTION, USING PLAYERS THAT BEHAVE, MOVE AND REACT JUST LIKE THEIR REAL-LIFE COUNTERPARTS. NEW ADDITIONS TO THE CONTROL SYSTEMS ADD MORE FLUIDITY TO THE GAME, WHILE A NEW USER INTERFACE MAKES ACCESSING THE MANY FACETS OF PES 2018 A SIMPLER PROCESS. 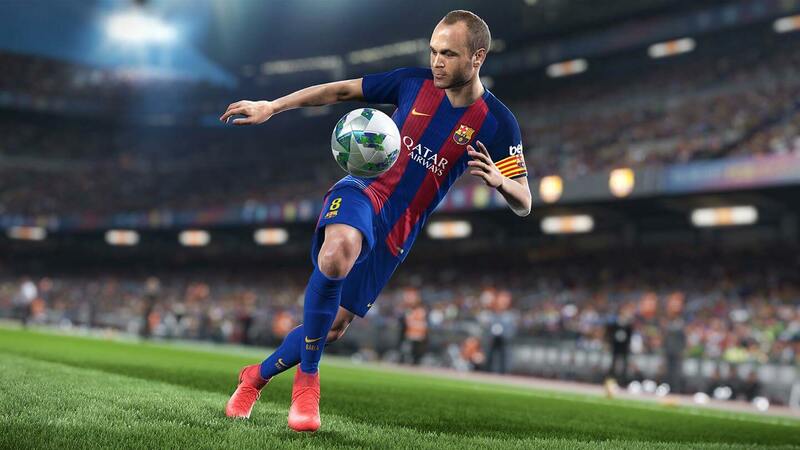 CONTROL IS EVERYTHING IN A FOOTBALL GAME, AND PES 2018 RETAINS THE IMMEDIACY AND TOTAL CONTROL THE SERIES IS FAMED FOR ALONGSIDE NEW REFINEMENTS THAT HONE ITS AUTHENTICITY. MATCHES ARE PLAYED AT A MORE REALISTIC PACE, WHILE A NEW STRATEGIC DRIBBLING SYSTEM OFFERS GREATER CLOSE CONTROL, INCLUDING CONTEXTUAL SHIELDING TO PROTECT THE BALL. SIMILARLY, SIMPLE MOVEMENTS OF THE CONTROL STICK CAN BE USED TO INITIATE SHIMMIES DESIGNED TO WRONG-FOOT DEFENDERS. KONAMI HAS ALSO IMPLEMENTED A REAL TOUCH + PROCESS, WHEREIN PLAYERS WILL REACT TO RECEIVING A BALL USING PERMISSIBLE PARTS OF THE BODY, SUCH AS CHEST, HEAD AND LEGS TO BRING A PASS UNDER CONTROL DEPENDENT ON THE HEIGHT AND PACE OF THE INCOMING BALL. ALL SET PIECE ROUTINES HAVE ALSO BEEN TOTALLY REWORKED, NOTABLY THE WAY PENALTY KICKS ARE TAKEN AND A ONE-PLAYER KICK OFF ROUTINE AS WELL. 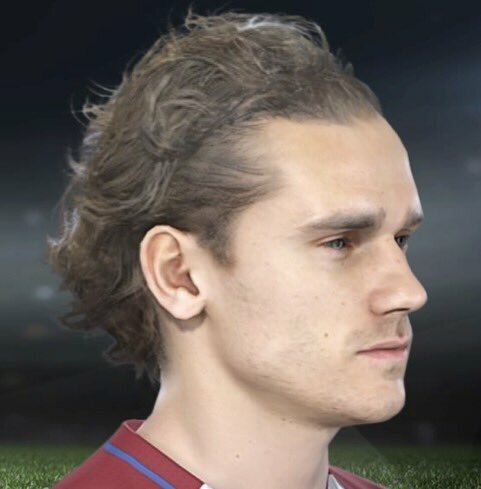 PES 2018’S VISUAL ACUITY HAS ALSO IMPROVED. 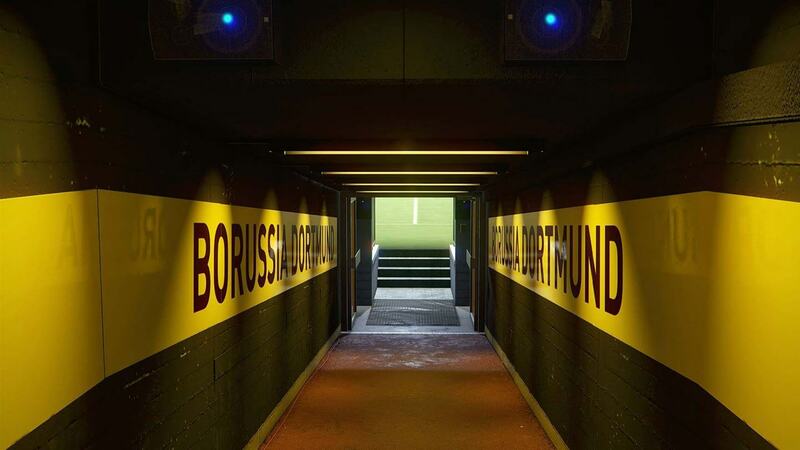 A NEW REAL CAPTURE SYSTEM PROVIDES TRUE-TO-LIFE LIGHTING ACROSS DAY AND NIGHT GAMES, WHILE OVER 20,000 COMPONENTS HAVE BEEN FAITHFULLY RECREATED TO RECREATE THE TURF, TUNNELS, AND THE SURROUNDING AREAS OF STADIA SUCH AS CAMP NOU AND SIGNAL IDUNA PARK. THE INDIVIDUALITY OF HOW PLAYERS MOVE, SHAPE TO SHOOT AND MAKE PASSES IS ALSO CLOSER TO REAL LIFE, WITH KONAMI MOTION-CAPTURING PLAYERS WITHIN REALISTIC ENVIRONMENTS IN A COMPLETE OVERHAUL OF THE IN-GAME ANIMATION SYSTEM. CORE MOVEMENTS SUCH AS WALKING, TURNING, AND POSTURE HAVE BEEN REWORKED ALSO, WHILE THE PLAYER MODELS NOW HAVE GREATER VARIETY, WITH ATTENTION PAID TO THE WAY KITS FIT DIFFERING PHYSIQUES. KONAMI’S AGREEMENTS WITH PARTNER TEAMS WILL ALSO SEE TATTOOS RECREATED ON PLAYERS AS WELL. 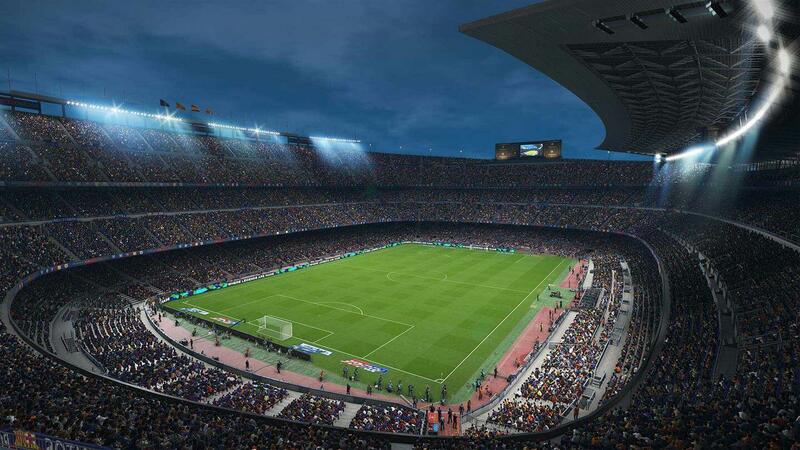 WITH THE RENOWNED GAMEPLAY AND VISUALS UPPED IN EVERY RESPECT, PES 2018 ALSO ALLOWS MORE WAYS FOR PEOPLE TO ENJOY THE MATCH DAY EXPERIENCE. FULL 11-VS-11 ONLINE OPTIONS AND THE ETERNALLY POPULAR MYCLUB CHALLENGE WHERE PLAYERS BUILD A TEAM FROM SCRATCH, ARE JOINED BY CO-OPERATIVE 2-VS-2 AND 3-VS-3 MODES WITH SUPPORT FOR LOCAL GUESTS. THE MUCH-REQUESTED ‘RANDOM SELECTION’ MATCH RETURNS WITH ALL NEW CONTENT, WHILE THE MASTER LEAGUE IMPLEMENTS PRE-SEASON TOURNAMENTS, A NEW TRANSFER SYSTEM AND PRE-MATCH INTERVIEWS AND AN INSIGHT TO THE CHANGING ROOMS. Usain Bolt in the game. Do visuals need more sweetFX? Same old shite commentary and UI. Other than gameplay (which can't be commented without playing), everything looks awful. Well, waiting for the demo to try out the gameplay. The commentary is too bad. The lines start repeating in a single goddamned match. As much as I like the feel of the game, I don't think it can stand against FIFA which is improving with every installment. Konami is only interested in milking now. That sweet sweet Pachinko dosh. - Online Open Beta starting at the end of July on PS4 and Xbox One. Available for 11 days. - Dat stadium detail from the inside. - Dead ball camera angle has changed (which is amazing). During a free-kick, the kick-taker could change his starting position. - New animations (new GK animation can be seen around 3:10) can be seen throughout the match. Little nuances that are different from last year's game. - Game will have an online mode, where even lower level teams will be bumped up to a higher rating for balanced matches. It will depend on the skill of the players to win the match. While I love the slow gameplay, the movement is just bad. BETA only on consoles again. Thought PC was going to be treated on par this time. Dat stadium detail from the inside. While it does look good but the overall presentation still lagging behind. Flat lighting, awful ad-boards, UI, etc. And when taking a free kick, the grass looks like paint. Game will have an online mode, where even lower level teams will be bumped up to a higher rating for balanced matches. Sounds like something FIFA had on FIFA 16. An online mode where every team was 85 rating and all players had same stats. It was fun but they removed it. Here, are they going to bump stats alone or everything? Like skill moves and weak foot too? Better not be a shite port. Looking forward to the beta. Day 1 buy for me. Always find one online mode or another to stick with every year. It never gets boring. To each his own, I guess. Personally, I don't mind overlooking those issues as I consider them minor and the gameplay in the final version is what would matter to me the most. Another thing to note is that there might be final touches of polish to the game before it goes gold. Also, I'm not defending the game blindly. I know those issues may matter to others more than it does to me, so, valid points you got there. Yeah, I remember FIFA 13 or 14 had a mode like this too. Helped in tourneys. Glad, PES added it finally. Not much has been explained about the mode yet. Will have to wait and watch for the details. Wayward pass. The player missed directing the player towards the ball, I guess. Somehow missed replying to this earlier. Sorry about that @Joe Cool.